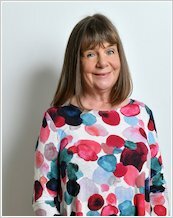 The UK’s most successful reading scheme, Oxford Reading Tree, teams up with star author Julia Donaldson in this brilliant phonics series, full of wonderful stories which practise the basic sounds that make up words. 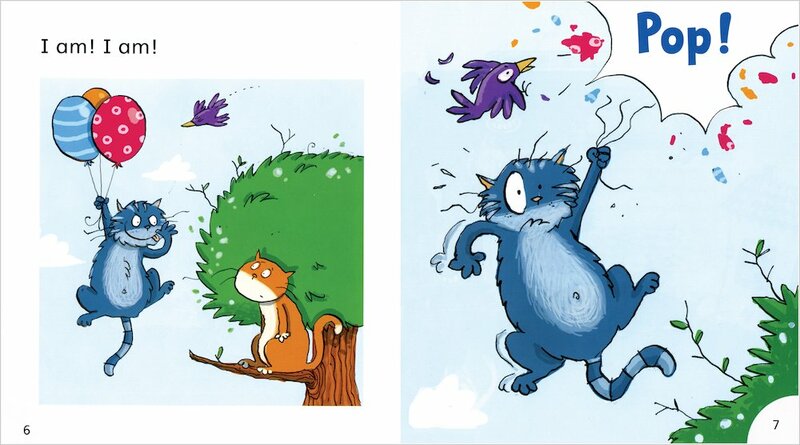 Songbirds builds on children’s phonic knowledge by letting them segment, blend and match common letter sounds and letter blends in brilliant stories written with the author’s hallmark energy and wit. All the stories support the school curriculum for literacy, providing fully decodeable texts that build on children’s phonic knowledge as they work through a total of 36 books spread over six stages. 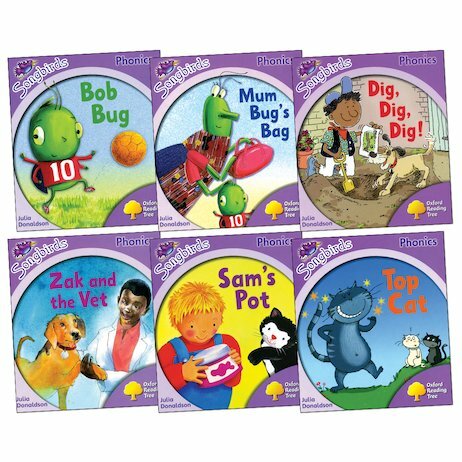 This set of six Stage One books is intended for children just starting out with phonics. It matches a sound to one letter, and teaches the short vowel sounds and all consonants except x and q. It also includes comprehensive teachers’ notes.